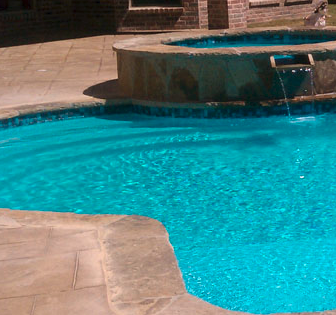 Many reliable and beautiful swimming pool finishes are available to today’s pool owners. From the standard white pool plaster to the rainbow of multi-colored pebble finishes, the choices can be exciting…and daunting when deciding which to choose. Composed of white marble dust, white cement and water, standard white plaster is the traditional pool finish. It is an economical choice that provides that classic swimming pool “blue” color as it reflects the sky above. Under ideal conditions, regular pool plaster can provide many years of service. But its durability depends on the care it gets. Standard white plaster is a relatively “soft” finish compared to quartz or pebble, and it is more susceptible to the effects of water chemistry. 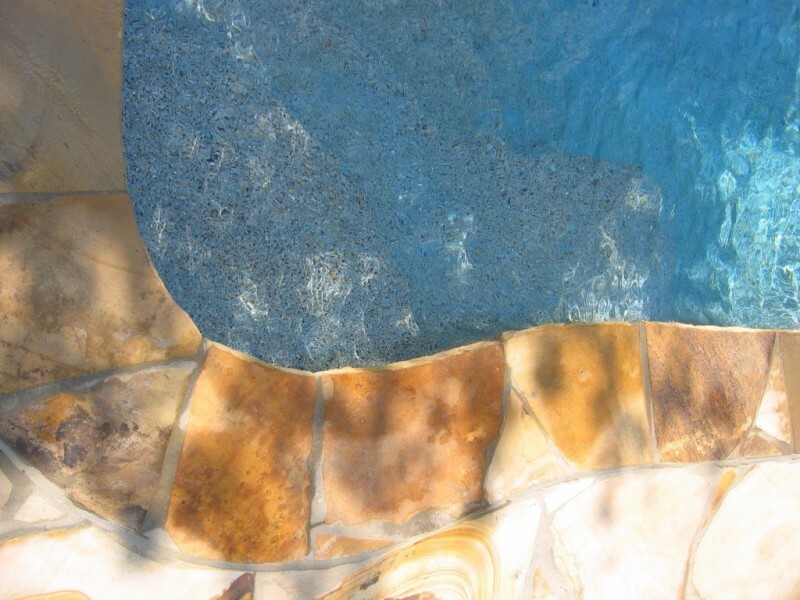 A more recent kind of pool plaster is the quartz aggregate finish which adds color and durability to your pool’s interior. Formulated from a specialized form of ceramic-coated sand blended with white Portland cement, this long-lasting finish is available in a wide array of colors ranging from vivid blues and reds to more subtle shades such as beige, soft teals or greens. 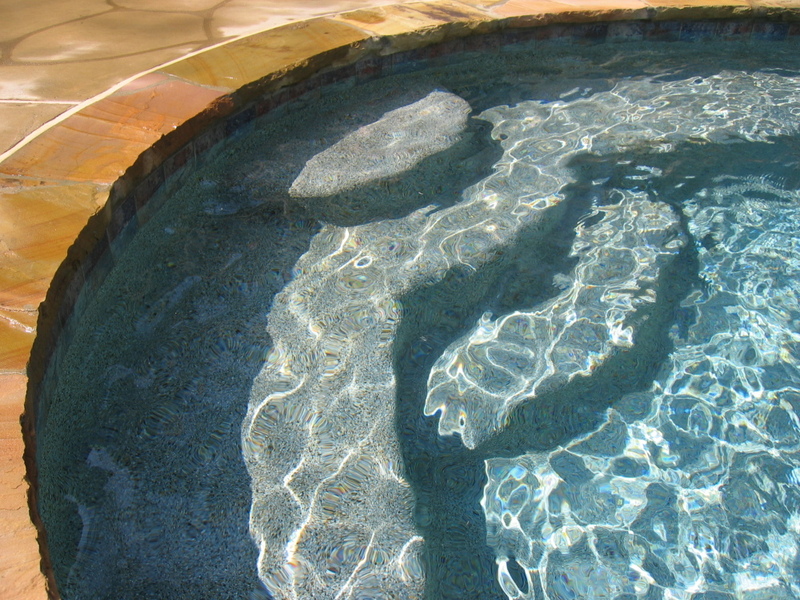 Color quartz can be applied to new or existing pool and spa surfaces. The newest and most durable of all pool surface options is the pebble finish. Made of small smooth river pebbles embedded throughout the plaster mixture, pebble surfaces are natural and beautiful in appearance with a wide range of colors to choose from. They are the most durable of surfaces because the stone material is chemically inert and thus does not react with pool water and is impervious to alterations in appearance. The pebble finish also provides a slightly more textured surface which adds to its natural beauty. 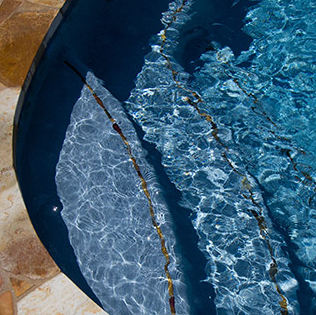 The waterline tile in your pool serves as a barrier against “bathtub ring” in your pool. Oils and other sticky residue eventually float to the surface of the pool, and without waterline tile, would penetrate the porous plaster material and quickly degenerate it. The non-porous surface of ceramic and glass tile collects the residue, protecting the plaster surface, and is easily cleaned. 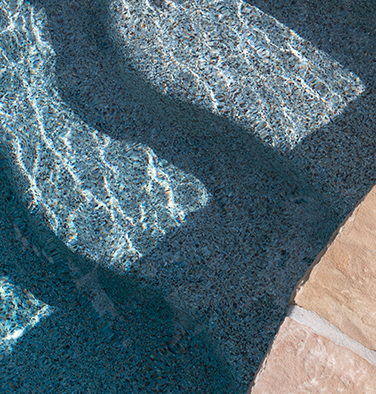 Although it serves a utilitarian purpose, waterline tile can also be a stunning accent to your pool’s overall beauty. Like jewelry for your pool, it can complement the color of your pool’s surface, as well as enhance the color of the water. The coping of your pool is a cap that tops the wall of the pool shell and joins the pool with the deck. 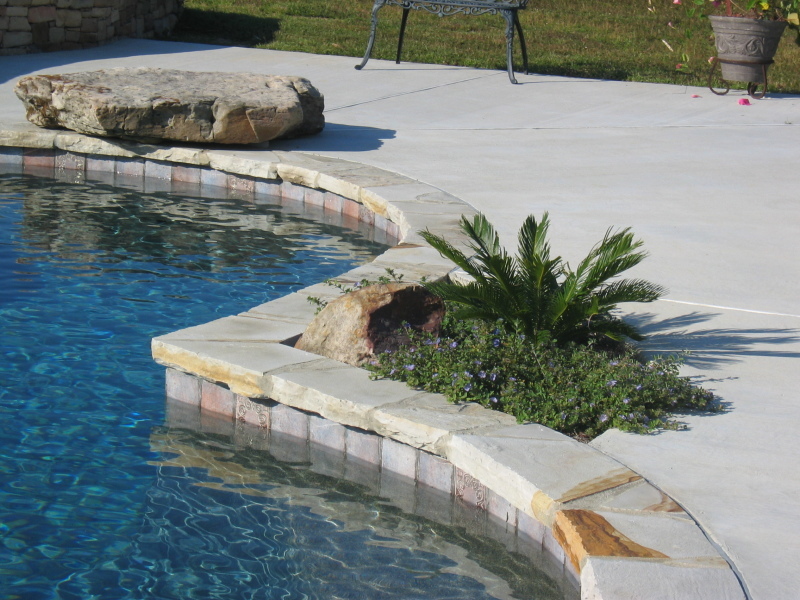 Different coping types create different looks to the pool. Traditional coping in years past has been pre-cast concrete, oftentimes with a bull-nose edge, and is called cantilevered coping. Other coping materials include brick and stone. During your pool renovation, the coping can be changed from cantilevered concrete to brick or stone in a variety of colors and finishes to create a different look for the entire poolscape.